The TL Dallas fundraising calendar is still available if you’re in need of one for your wall. Even if you have one, why not pick up another. Cost is £15 and all proceeds to charity! Contact the Shetland office on 01595 693660 or email lerwick@tldallas.com to buy now. To celebrate their centenary year in 2019, TL Dallas set up the TLD Charitable Trust with the aim of raising £100,000 for various charities chosen by TL Dallas staff. There have been many successful fundraising initiatives from many staff across the Group and the latest comes from our Shetland office. 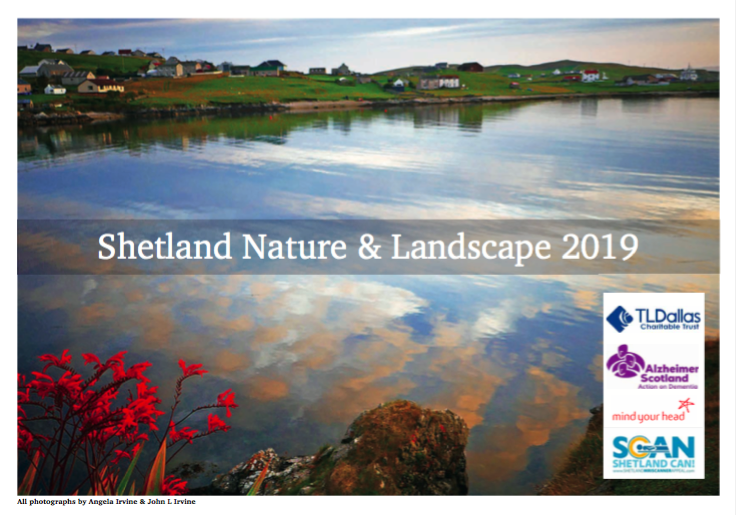 They have organised a 2019 calendar filled with stunning photography of Shetland’s nature and landscape by local photographers Angela Irvine & John L Irvine.